Whilst their subtle fluttering riffs remind me of some of the more delicate Muse songs, Exitmusic by all means break free from genre defining categories. Passage's textural warmth really sets the pace for the debut album.A powerful possesive nature swarms throughout the title track, alluring with their attractive charm the duo have a true sense of capturing and conveying the hardest of emotions. Check out the bewitching video above beuatifully demonstrating how enpowering the audio/visual world can be. Tour dates below. 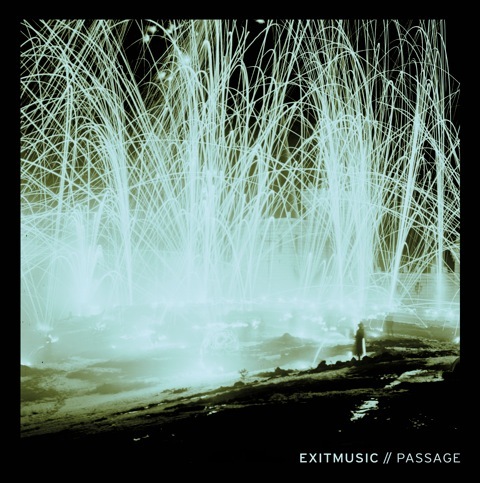 Album release: 'Passage' May 21st via Secretly Canadian. Single release: 'Passage' April 23rd.